I'm a big fan of Genesis from way back. It was originally because the front man for the band when I first discovered them was also the drummer, Phil Collins. As a budding drummer myself, I really appreciated that. I was thrilled to soon discover they paid tribute to Winsor McCay with the song "Scenes from a Night's Dream." 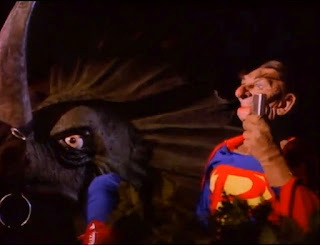 This was emphasized in the video as the Ronald Reagan character dons a Superman style suit and races off to the save the day... only to get distracted by the television. Seemingly to reinforce the comic connection of the song, the metal band Disturbed did a cover of "Land of Confusion" in 2006 and hired Todd McFarlane to create the video. 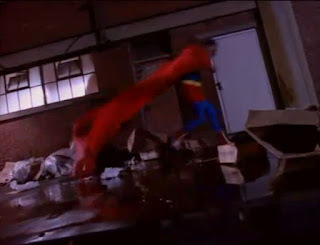 McFarlane's visuals were decidedly less comedic and much darker, despite using many of the same visual ideas. 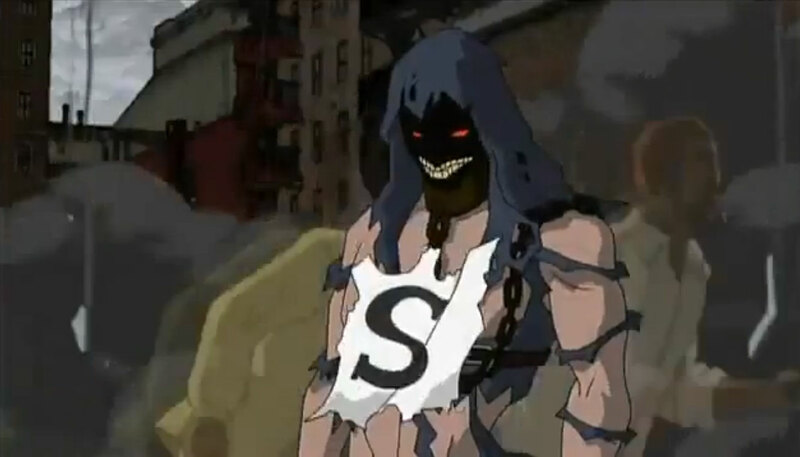 In this version, the protagonist is based off "The Guy" mascot of the band's previous albums and given super powers, including super strength, flight and an energy punch. Despite this, however, the Superman reference in the lyrics is largely dismissed -- a scrap of paper with an "S" flies across The Guy's chest during the lyric and he quickly discards it. The Guy's original character design was by David Finch, and the cover art for Ten Thousand Fists that was used as the basis for the video was by Todd McFarlane and Greg Capullo. McFarlane talked about the development of the video in a short making-of documentary. One more comic connection for the song. It was even more recently covered again by Katzenjammer, a Norwegian band whose name is directly a tribute to the Katzenjammer Kids, who they felt they resembled. While their video is primarily live action shots of them playing, it also features cartoony animations and some classic visual idioms from comics. Including (most of) the iconic "S" shield.